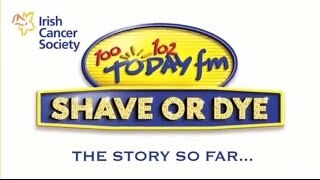 Around €100 was raised for the Irish Cancer society by DCU Cancer society at their second annual Shave or Dye or Oh My event, in association with TodayFm in Nubar last Thursday. Assisted by Harte’s Barbers, the event was the Cancer Society’s first fundraising event of the semester. There was a total of 11 participants, five of which shaved their hair while the six others chose to dye their hair. The chairperson of the society, Cal Commons, also took part and he shaved his head for the charity. “It’s for a great cause. It’s an annual event to raise both awareness and money for the charity and, sure, it’s a bit of craic as well,” Commons said. The society accepted donations both in person and through an online donation account. The society, which was established in May 2014, has already had many successful fundraising events this year including a Movember leg wax and the Bro’s of Tralee competition. The Cancer Soc are also holding a 24-hour fundraising event called Relay for Life from the 2nd to the 3rd of March.